Sit in your home and feel like you're rowing in the water with the Weslo flex 3.0 rower. Sit down and strap in or stand up and start Curling. 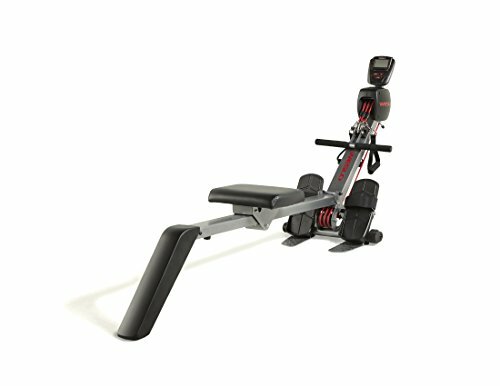 This rower gives you strength, cardio, and coordination with a focus on upper-body movement. Watch your workout stats add up on the large LCD window display and when you're finished, simply fold it up and out of the way using the SpaceSaver design.